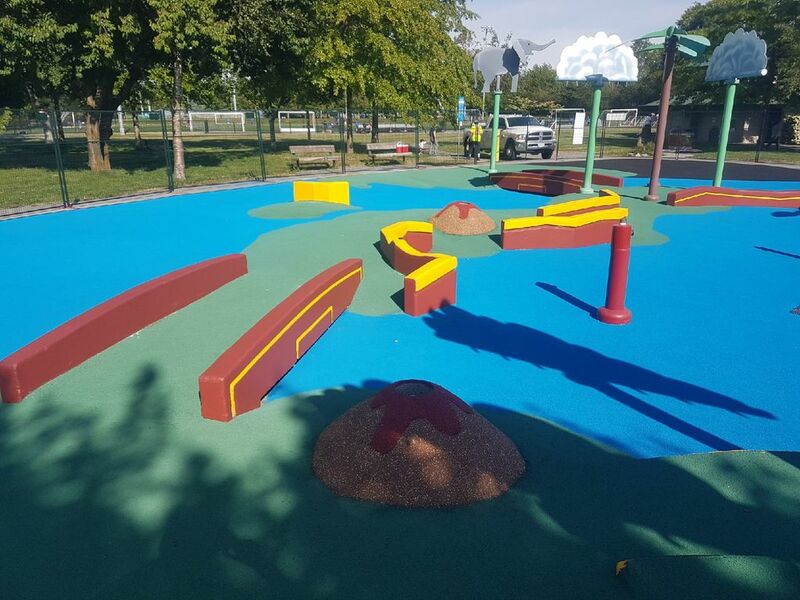 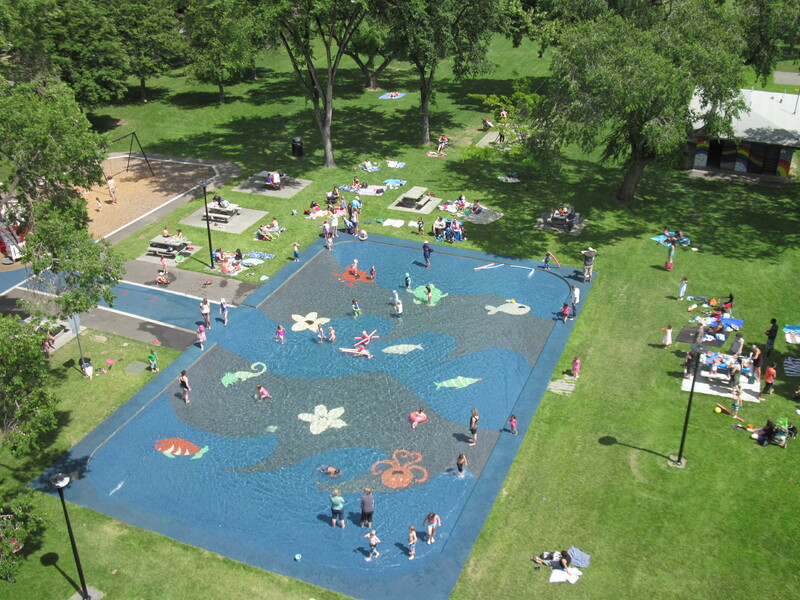 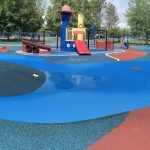 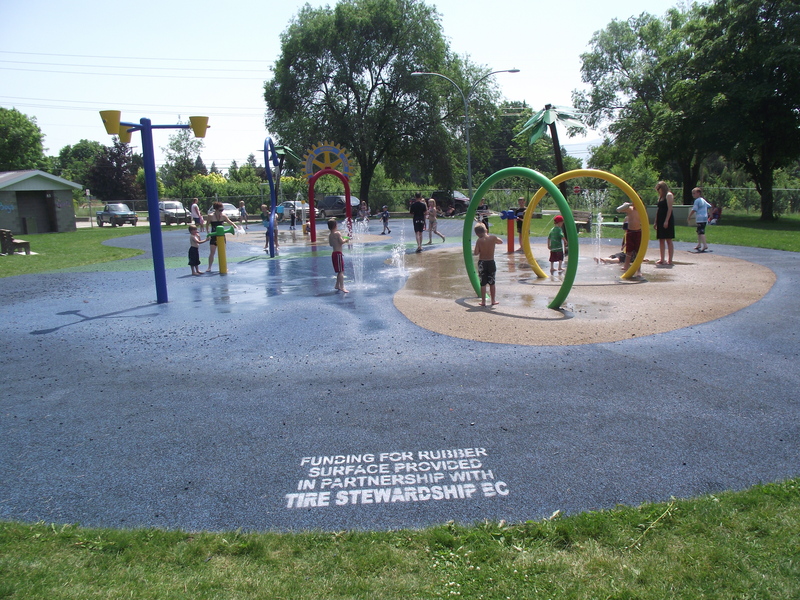 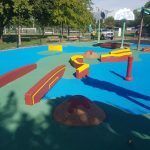 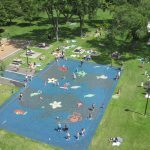 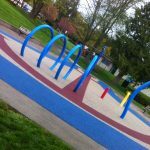 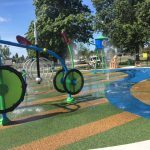 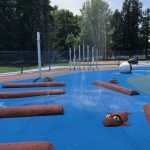 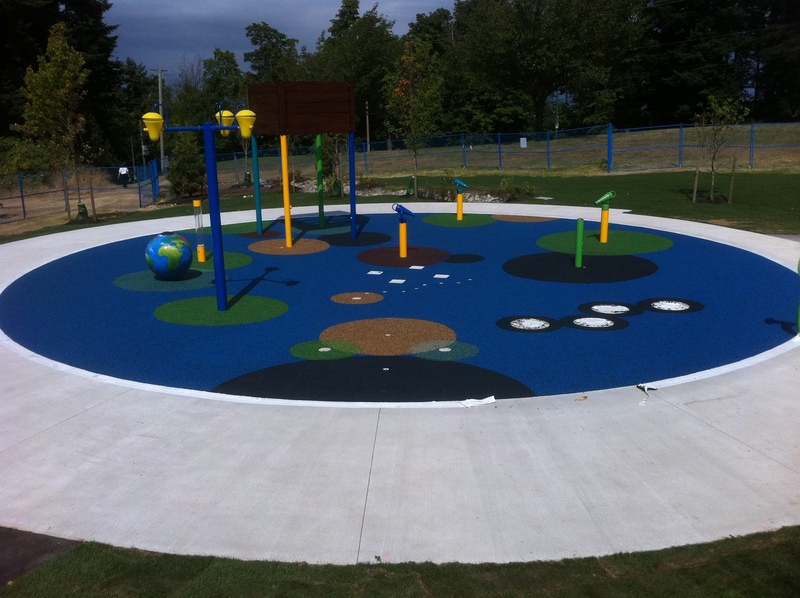 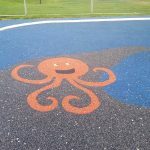 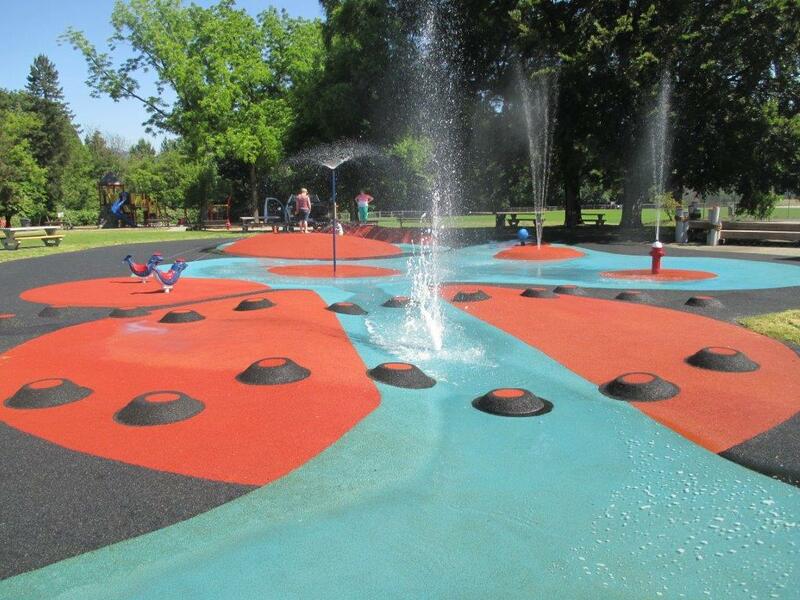 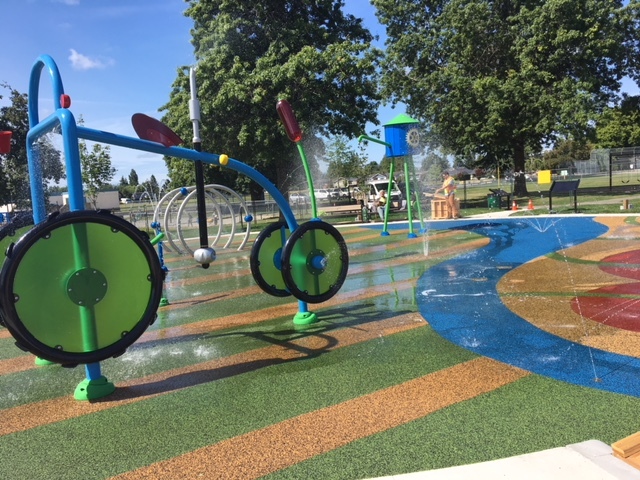 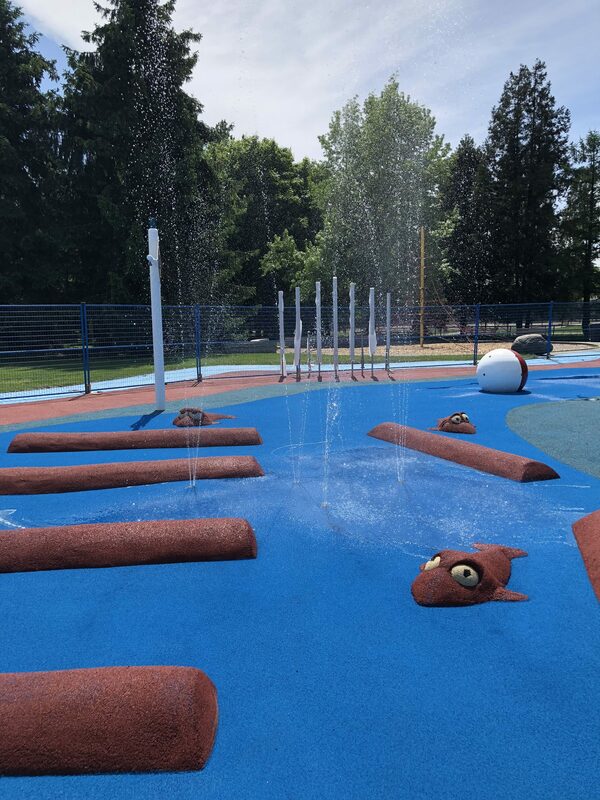 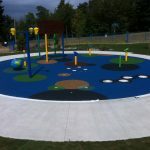 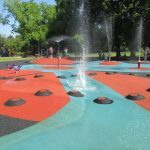 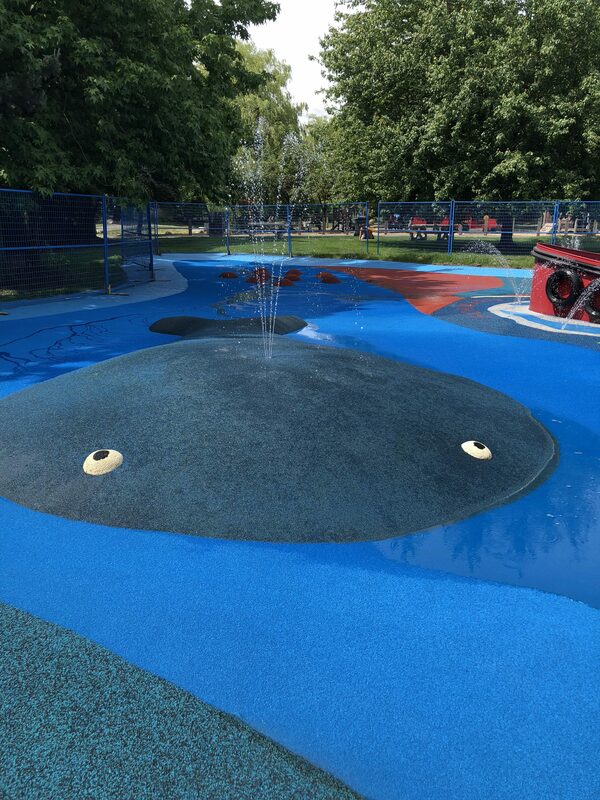 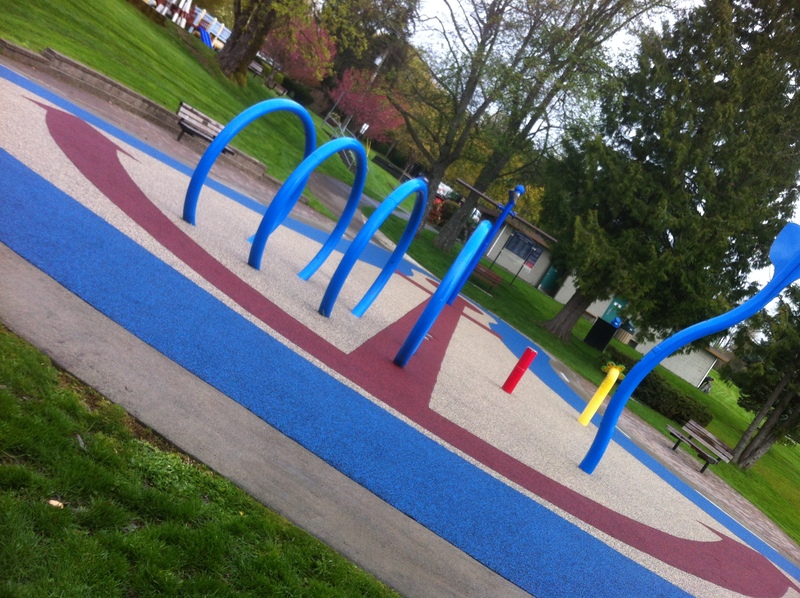 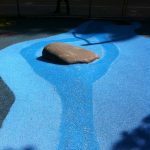 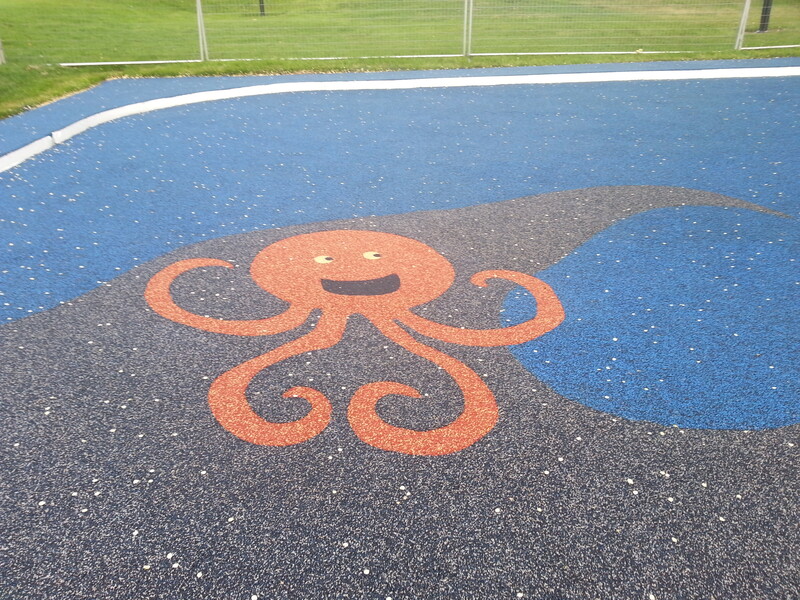 Add custom colours, play value and topography to your splash pad or water park with our Landsafe porous and sealed (Landsafe Splash) recycled pour in place rubber safety surfacing. 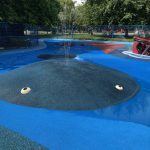 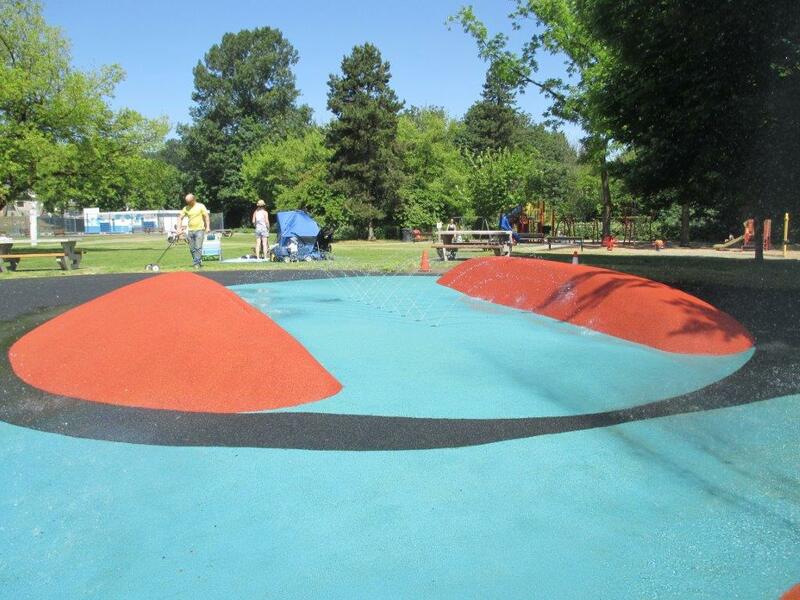 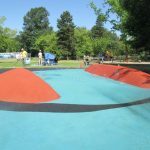 Landsafe® Splash is a sealed pour in place rubber surfacing system that creates an impermeable surface. 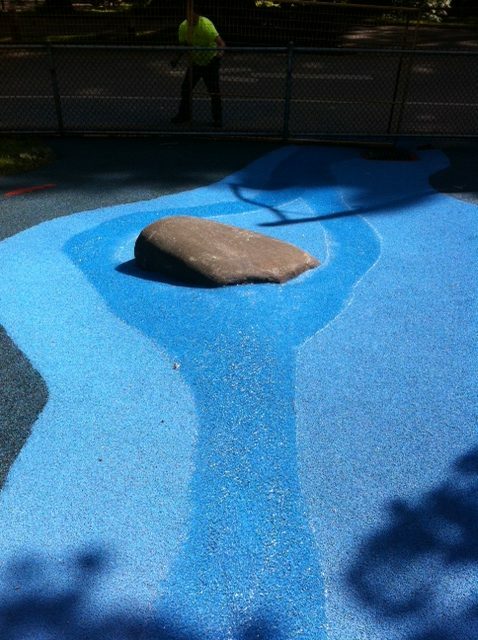 Mixed with our porous system it is ideal for creating design elements such as rivers and wading pools. 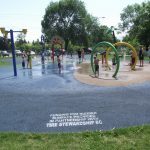 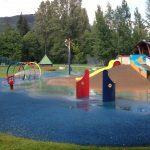 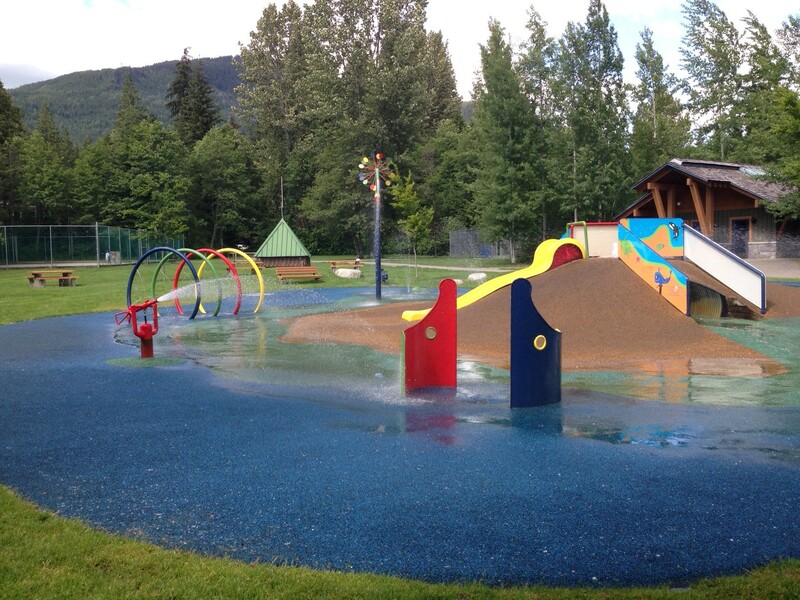 Landsafe Splash is the only sealed pour in place system approved for use in water parks and splash pads by Vancouver Health Authorities.